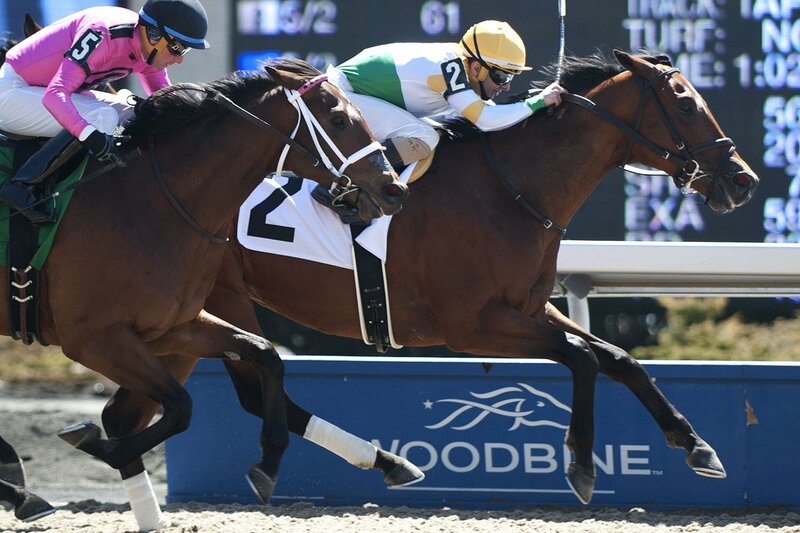 TORONTO, April 21, 2018 – The new Thoroughbred racing season opened at Woodbine on Saturday afternoon under sunny skies with Chiefswood Stables’ homebred Houdini Affair and jockey Rafael Hernandez winning the first race of the 133-day meet for trainer Stuart Simon. Houdini Affair split rivals down the backstretch in the $34,000 five-furlong maiden sprint and overtook early leader Court Verdict on the turn before holding off outside closer Mo Gee and the rail-skimming Water Polo for the first win of the meet. The winning time was :57.96. Named Outstanding Owner of the 2017 season at Thursday’s Sovereign Awards, Chiefswood Stable owns and bred the five-year-old Bernardini-Magical Affair gelding, who won for the first time in his fifth career start. Sent postward as the 5-2 co-favourite, Houdini Affair paid $7.30, $3.10 and $2.50. This afternoon’s co-featured stakes include the $100,000 Wando coming up in race six and the $100,000 Jacques Cartier in race eight. 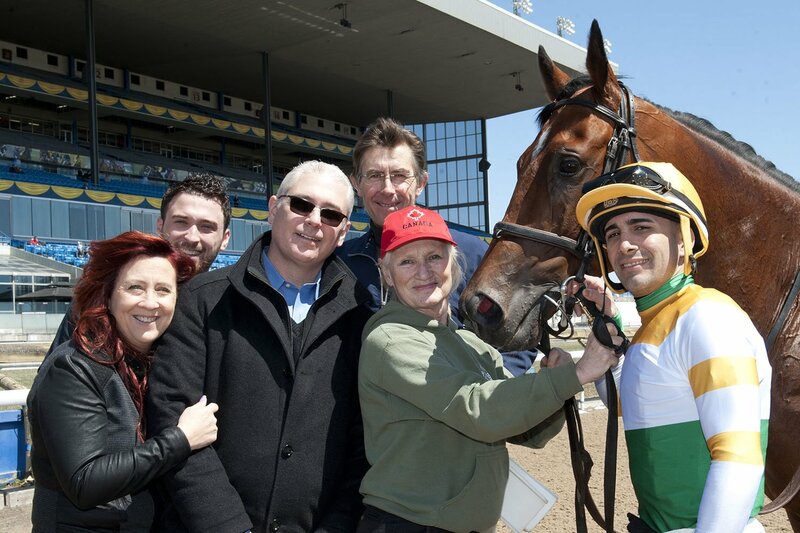 Live Thoroughbred racing continues at Woodbine on Sunday, with post time for the first race at 1 p.m. This entry was posted in Woodbine News and tagged Chiefswood Stable, Horse Racing, Opening Day, Thoroughbred Opening Day Event, Woodbine. Bookmark the permalink.